Ross Stein, Ph.D., Volkan Sevilgen, M.Sc. 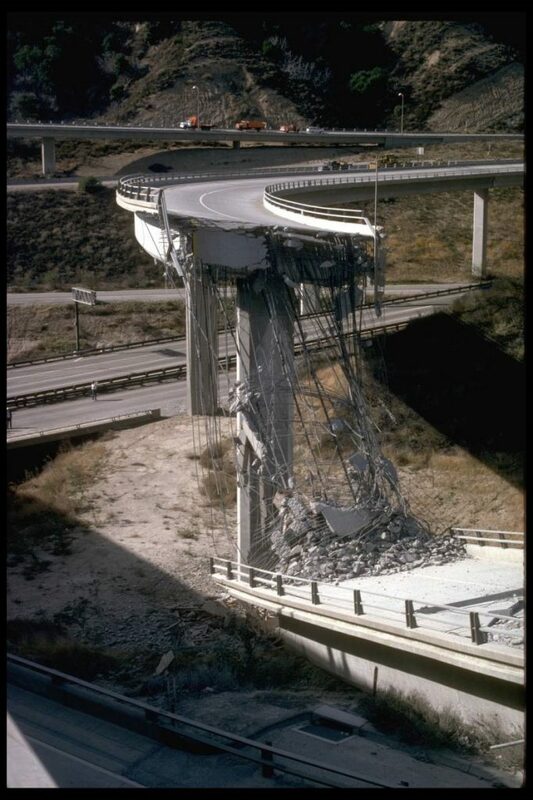 Twenty-five years ago, the M=6.7 Northridge earthquake caused enormous damage in southern California. Today people are far less insured, and the best estimates suggest that we would take a major economic hit if one like it were to strike the Southland today. The government shutdown would only compound the problems. What if the Northridge Earthquake Happened Today? The M=6.7 earthquake struck on a ‘blind’ thrust fault (meaning that geologists were blind to its presence). There are other blind faults in southern California that pose an equal or greater hazard to the economy and well-being of Angelinos, and despite being associated with earthquakes up to M=7.3, blind thrusts are notoriously difficult to identify. Learn more about these faults here. Dr. Patricia Grossi from RMS, Inc., concluded that if an M=6.7 Northridge earthquake struck in 2014, it would cause up to $155 billion in total economic losses, comparable to that for Hurricane Katrina, which cost the nation $148 billion. But the insured losses would amount to only $16-$24 billion, or 10-15% of the total. 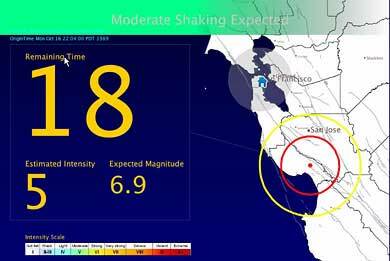 What about other quakes in the Southland? An earthquake on the Puente Hills blind thrust fault, which runs beneath much of the Los Angeles basin including downtown, could cause over $600 billion in economic damages (Larsen et al., 2015). A recent M=5.1 earthquake on 29 March 2014 highlighted the presence of the Puente Hills and other blind fault faults in southern California capable of producing damaging earthquakes. The 1933 M=6.4 Long Beach earthquake ruptured the Newport-Inglewood fault, killing 120 and causing widespread damage estimated to be between $40 and $50 million (1933 dollars; Swift et al., 2012). If the 1993 Long Beach earthquake were to recur, the losses could be between $131 and $781 million, depending upon the earthquake size (given analysis in 2006 using valuation estimates from 2002; Swift et al., 2012). Many are familiar with the hazards from an earthquake on the San Andreas fault. If not, check out the video series “The Whistle.” The U.S. Geological Survey prepared a study of the impacts of an earthquake on the southern San Andreas fault (Jones et al., 2008). Using a computer tool developed by FEMA, they estimate that there may be as many as 1800 deaths and $191 billion in damages (in 2008 dollars and level of infrastructural development; Porter et al., 2011). A large earthquake on the Puente Hills Blind Thrust Fault would strongly shake the most densely part of the Southland. The color gradients give the size of an earthquake expected over the period of a human lifetime (Bird et al., 2013). So for greater Los Angeles, a M=6.5-7.0 is likely. Do you know what your losses to earthquake hazards would be? 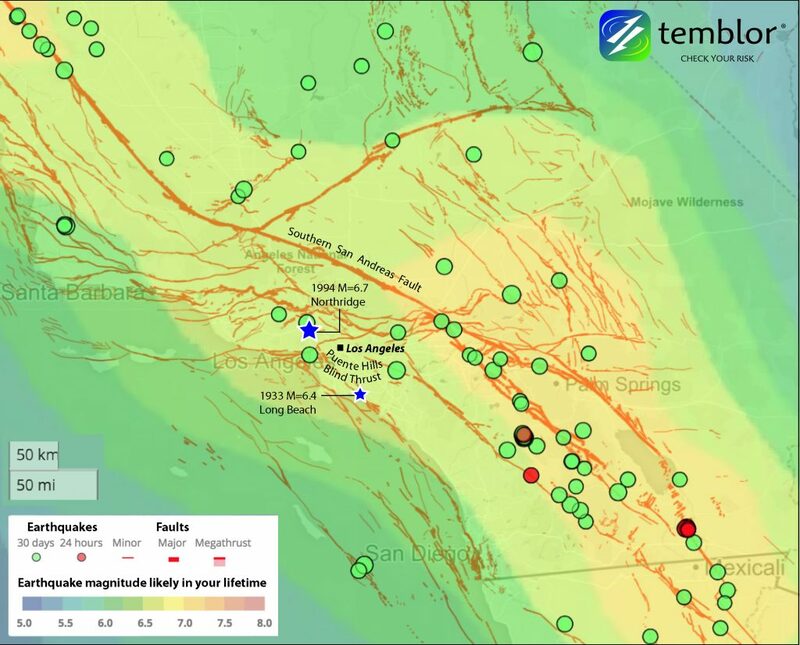 Check Your Risk in the Temblor app here. Below is a map showing historic earthquakes in southern California (Hauksson et al., 1995). The spatial extent of the aftershocks correlate roughly with damage. 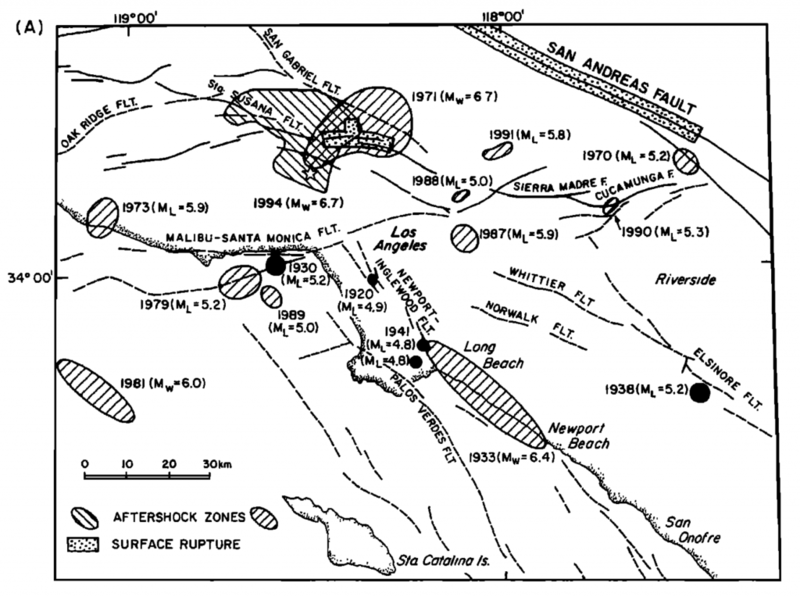 Historic earthquakes in southern California (Hauksson et al., 1995). During the government shutdown, the USGS is operating with a skeletal crew just sufficient to monitor earthquakes in California and around the world. 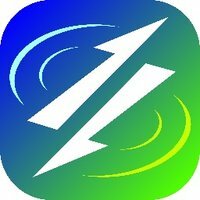 However, no routine maintenance of its seismic and geodetic stations is being conducted, no buildout of the partially-completed Earthquake Early Warning system is being undertaken, no research is conducted, no publications are produced, no research meetings are held, and there is a press blackout. In the event of a large California earthquake, the USGS has been granted authority by the Department of Interior to resume operations with as large a staff as needed to protect life and property, and to collect essential data. Forrest Lanning, Earthquake Program Manager for FEMA Region IX (southwest U.S.), explained that if there were a disaster, FEMA would be mobilized in accordance with their mandate to respond to requests of disaster declaration from the state. Mobilized FEMA personnel would be given authorization to be paid for overtime under the Stafford Act, but the work leading up to this overtime would not be covered unless congress provided authorization. The FEMA Watch Center is required to be in operation 24 hours a day, 7 days a week. Staff at the watch center keep their eyes on media and other sources to determine if events may impact Region IX. They work with the NOAA Pacific Tsunami Warning Center and the USGS to monitor these potential impacts. 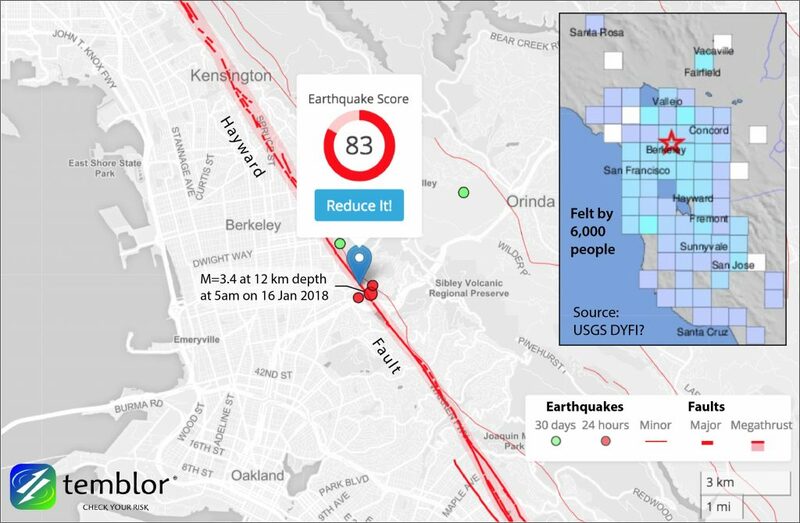 But what would happen if, instead, there were a swarm of small earthquakes on a major fault, as occurred at the southern tip of the San Andreas in September 2016, or near the Calaveras Fault in northern California in February 2018? In fact, today, there was a M=3.4 quake followed by several others on the Hayward Fault, which last ruptured in a M~7 shock in 1868. Because of widespread damage, the 1868 quake was known as the ‘Great San Francisco Quake’ until it was dethroned in 1906. When a swarm culminating in a M=4.3 shock occurred in September 2016 at Bombay Beach near the southern end of the San Andreas, USGS calculations and consultations led the California Office of Emergency Services to issue a week-long ‘Earthquake Advisory’ for the entire Southland. Seismic swarms are simply unchartered shutdown territory. In 1994, 34% of Californians carried earthquake insurance. Today this is down to about 10%. Why is this? The Northridge quake caused about $40 billion in damage in 1994 dollars (Eguchi et al., 1998), which was an unprecedented loss to the insurance industry, leading to a complicated response, with many insurers refusing to offer homeowner’s policies if they had to offer quake. The California Earthquake Authority was set up by the state following Northridge, to help provide insurance when most carriers refused to do so. The CEA is a privately funded, but publicly managed, provider of residential earthquake insurance. But because of a reassessment of the risk, all earthquake insurance premiums, as well as deductibles, rose. The more time passes following an event, the more rapidly people stop considering the potential impact of such an event if it were to recur in the future. This is especially true for earthquakes. In 1989, the large Loma Prieta earthquake devastated the San Francisco Bay area. The entire country responded in this time of need and the visual evidence of the impact of this quake was broadcast globally. People were aware of their place in earthquake country and this may have contributed to the large proportion of people who had earthquake insurance when the Northridge quake hit. So, the take away from this is that, depending on the costs of repairing expected quake damage to your home, you should consider earthquake insurance and seismic retrofit. Without economic resilience, we may crumble under the load, as the column did in the following photo. 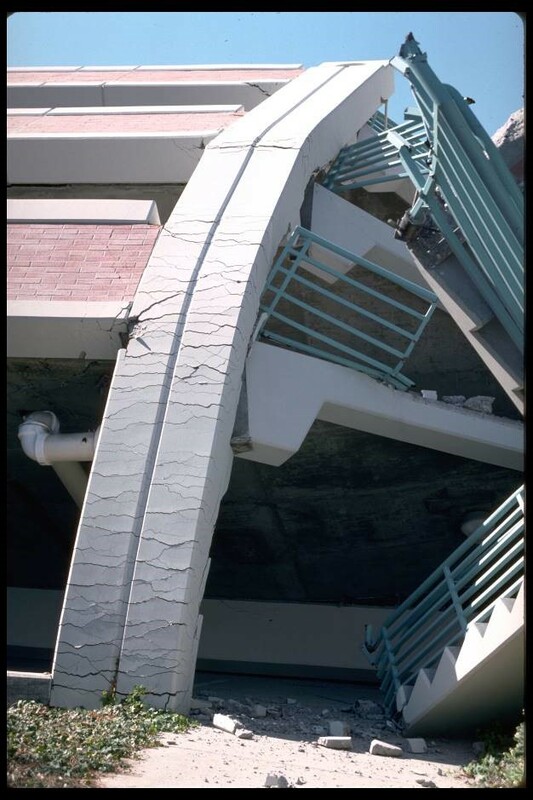 Building damage from 1994 Northridge earthquake, the parking structure at CSU Northridge. Credit: USGS public domain. Hauksson, E., Jones, L.M., and Hutton, K., 1995. The 1994 Northridge earthquake sequence in California: Seismological and tectonic aspects in Journal of Geophysical Research, v., 100, no. B7, p. 12235-12355. Jones, L.M., Bernknopf, R., Cox, D., Goltz, J., Hudnut, K., Mileti, D., Perry, S., Ponti, D., Porter, K., Reichle, M., Seligson, H., Shoaf, K., Teriman, J., and Wein, A., 2008. The Shakeout Scenario, USGS Open File Report 2008-1150, CGS Preliminary Report 25, Version 1.0. Larsen, T., Bolton, M.K., and David, K.M., 2015. Pinpointing the Cost of Natural Disasters – Local Devastation and Global Impact in proceedings SECED 2015 Conference: Earthquake Risk and Engineering towards a Resilient World 9-10 July 2015, Cambridge UK, 11 pp. Read about the earthquake that killed insurance at the Jumpstart Blog here. Learn more about the tectonics behind the 17 January 1994 M=6.7 Northridge earthquake here.